Then there’s everybody else. Some people will honestly become frustrated by noisy children in church. They have this warped idea that reverence includes absolute silence. It doesn’t. 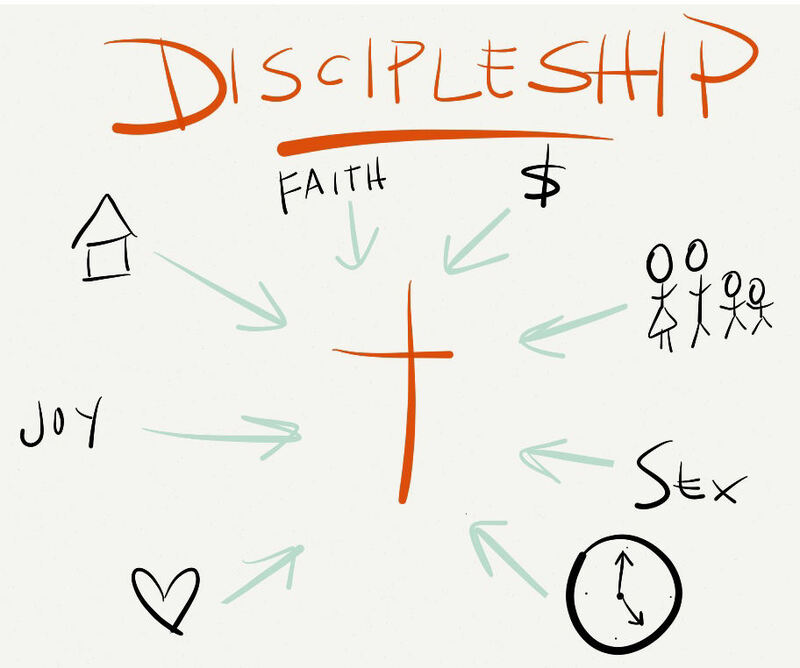 When parents brought their children to Jesus, the disciples rebuked them (Matt. 19.13-15), but Jesus rebuked His disciples. 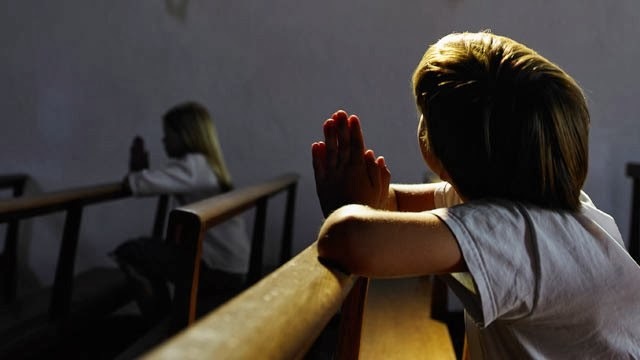 He said, “Let the little children come to me and do not hinder them, for to such belongs the kingdom of heaven.” The term translated “children” in Matthew and Mark is paidon. The root of the word “pedagogue” is from this word. It defined children of either an infant state, or more particularly, it was with reference to those who were half-grown and could be either males or females. When Luke wrote his account of this narrative, he used the word brephos; which means “infants.” Luke wasn’t contradicting Matthew and Mark’s account, because Luke wrote that they brought the infants “also” (Luke 18.15-17). They would have squirmed, maybe even cried. This was likely why the disciples rebuked the parents; as well as that they might have thought that the children were too young to understand the blessing Christ pronounced over them. The past 48ish hours my family had a quick getaway to do some family camping. Well, one night in a hotel, one night camping. We spent Thursday night in Rochester in a hotel downtown because with work obligations I wasn't able to get home early, so we didn't leave town until after 8:30PM and there was no way we were driving 90 miles and then setting up a tent. So I hit priceline.com and found a reasonable room for the night that got us 70% of the way to our destination. We camped at Whitewater State Park, just North of St. Charles, MN and about 25 miles East of Rochester on Hwy. 14. We had lucked out in that there was a single campsite still available for Friday evening earlier this week, so we took it. It was the ideal weekend to be there in that there was a bunch of young child specific programming scheduled in the park. So we lucked into that. 2) I'm too old to sleep on the ground. 3) We need a bigger car. 4) The best malts ever are at Del's Cafe in downtown St. Charles. In fact, all the food there that we tried was fantastic, but the malt was simply over the top. 5) The gas pumps at the St. Charles Cenex don't shut off when your tank is full like everywhere else in the world does, thereby you'll soak yourself in gas if you are filling it and standing next to the handle when it hits full and keeps going. 6) Even in mid-August the Whitewater River is REALLY cold. 7) I still like camping, though I still don't like car camping in sites piled on top of each other. 8) I love my Chaco sandals. But I had a minor blowout that looks like I'll be having to send them in for a bit of warranty work. Probably one of the best companies on the planet for this kind of thing, so I trust I'll be treated well. 9) Doesn't matter what cool places you go, the gravel parking pad at the campsite is still one of the best places on the planet to play with toys. We had a great time getting away. No cell phone coverage, no electricity, no computers. Just fun and family. Hadn't set our tent up in longer than I care to admit, but it went up with no problems. We opened our time at camp with a puppet show put on by one of the camp rangers over near the beach area. We ran into town for lunch at Del's Cafe and then grabbed some non-perishable/no cooking required foods at the local grocery store and headed back to camp. When we got back to camp we decided to hike up to Chimney Rock, and did that full loop in the midday heat (not advisable in the heat honestly, wait until it cools). Nice views, though like spending an hour on the Stairmaster, so be warned that it basically straight up the hill, across the ridge a short distance and then right back down the hill with no flat spots in between. I hiked it in my Chaco sandals (Vibram soles) but I don't recommend that. It is wickedly rocky and root strewn in places, so toe protection is advised. We spent the rest of the sunlit part of the afternoon/evening at the beach just relaxing and enjoying some truly amazing weather. We made it back to camp as the sun was setting and while my other two family members took care of some odds & ends at the shower house, I got the campfire setup and burning. Whitewater doesn't allow outside firewood, so buy it for $5 a bundle at the visitor's center (not cheap). At least the wood is all hardwood and pre-split though. Sat around the campfire trying to see meteorites falling with very little success. Eventually the little man was too tired and he dragged my wife off to the tent to sleep. She was going to study, but within about 5 minutes they were both out. I stayed up and tended the fire until it was out and then went to bed myself. I ended up with the most uncomfortable sleeping spot ever. There was a high point right were my hips rest, and my head and feet were lower, and the ground slanted into the side of the tent besides that. I guess that's what I get for being the last in the tent. So the night's sleep was pretty miserable, though our 4 year old had one of his best night's sleep ever. But my wife & I agree, we're too old to sleep on the ground. Cots or an air mattress next time. Got up this morning and let the wife head to town to the coffee shop to do some studying. She speaks very highly of the St. Charles coffee shop. I don't drink coffee, so I'll leave that up to her to define. Little man and I had some good play time and I packed up most of the sleeping gear so we'd be ready later in the day to head home. Then at 10:00am we went of and did some more programming that the park had set up for younger children. Watched birds, hiked some more, looked at flowers, stuck our feet in the river, read books, and more I'm sure I'm forgetting. All in all a great day. This was our son's first time camping. He had asked if we could go about a week ago, and I'm pretty sure he now wants to go again, which I suppose is a good thing. At least it will be if I can find a battery powered air mattress. My friend Rob wrote the following and I'd encourage you to interact with it on his blog. I'm copying it here so I have a permanent record of it as well. This comes from a recent real ministry experience of his, so it isn't some abstract philosophy. Great stuff. We can all hope we will never have to deliver this news, especially to a young child. But failing to prepare for a horrible thing doesn’t make it easier. And accepting reality doesn’t make it worse. So, in case you ever have to break the news, here is one pastor’s guidance for doing a hard thing well. Don’t lie. Don’t soften it. Don’t sugar-coat it. Tell the truth. Speak in simple, declarative sentences. Don’t use metaphors. Young minds don’t handle metaphors well. Most of us develop that skill sometime in High School. Speak in simple, clear sentences. Don’t try to “be strong” for their sake. Your tears validate their tears. Your emotions show them that they are right. It really is horrible, it really is real, and they are not alone. If they ask a question, the best answer is usually, “What do you think?” If you give them an answer first, they feel pressure to agree with your “right” answer. But if they speak first and then you respond, they have a chance to pick which answer works for them. If they don’t pick yours, maybe they’re not ready for it and they will be later. If they do switch to your answer, you just gave them a gift that helped them cope. Let them cope in their own way. Maybe they need to cry. Maybe they need to play. Maybe they need to sleep. Whatever they choose, it likely brings them comfort or control. Unless they are hurting themselves or someone else, let them grieve how they grieve. If possible, give them the best chance to hear this well. Don’t wake them up in the middle of the night. Don’t talk to them when you are inconsolable and out of control. Give them as much of a support network as you can. Friends and family, especially their own age, can help them grieve, and they spread the load so it doesn’t all fall on you. As horrible as this is for you, it is worse for them. Accept their grief, and find someone else to accept yours. Warn them the bad news is coming. Introduce the news progressively, not abruptly. I have some horrible, sad news. Your mom was in a car accident. It was a bad accident and she got hurt. People tried their best to help her. The injuries were too much. Congratulations. You just did one of the hardest things you’ll ever have to do, and you did it well. I think I invented an amazing new food yesterday. The Bacon Carnitas Chimicanga. It is better than you just imagined. Take all the awesomeness of bacon - crispy and smoky and salty, chop it up, and mix it in with the delightful richness of Carnitas. As some shredded Mexican cheese(s), wrap, fry, throw some red sauce or white cheese sauce on it and a bit more shredded cheese to garnish, and serve with Mexican rice and refried beans. 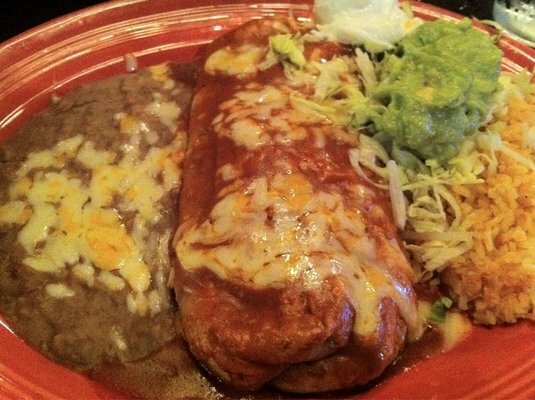 The crunch of the shell, the softness of the Carnitas and the toothiness of the bacon come together perfectly in your mouth. And the flavors - it is a dance party in your mouth and on your tongue! Mandles - Candles for men, manly men! 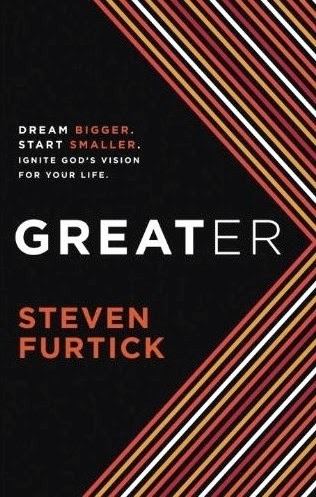 I had read Furtick's "Sun Stand Still" previously, so entered with a bit of expectation for this book as that one was a decent read. This one was not Greater. It seem to wonder constantly, was unfocused, and really never made a clear point. It was as though (presumably) the sermons he wrote originally that later were condensed for this book had no clear goals to begin with, leaving the final product muddy. 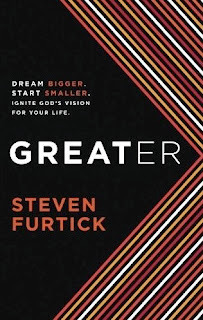 There are times in this book where Furtick moves uncomfortably close (for me anyhow) to promoting a prosperity theology - just short of name it claim it kind of thinking. Then in other places it seems like he wants to steal from David Platt and have everyone suffering nearly unecessarily for their faith (less of this than the prosperity though). There are a few quotable thoughts scattered here and there, but none of them worth mining through the rest of this so that you can find them. While it isn't the worst book I've read, I'd certainly steer clear of this and find yourself something better to grow your faith. When I got more out of reading the endorsements of the book than I did from the book itself, it should tell you something. I was given a review copy of this book by Blogging for Books, but as is obvious, was in no way obligated to write a favorable review. I have spent over a calendar year of my life in the mountains featured in this video. The Sangre de Christo Range. Philmont Scout Ranch, Cimarron, NM. If you've been there, you'll find your pulse racing as you watch this video. It will stir the longing to go back. IWGBTP! This comes from Dave Kraft. ENTITLEMENT – When the body begins to think “this is my church”, it will soon start operating outside the complete power and utter dependency of the rightful owner. It will then lose the Spirit’s power. ENERGY – The lack of energy stagnates a church. This is not referring to worship. You can worship to your taste, but energy is a part of any movement of God. The church is the body of Christ. Don’t forget…our God is not dead…He’s alive! A church is revived and reenergized when it renews its vision. 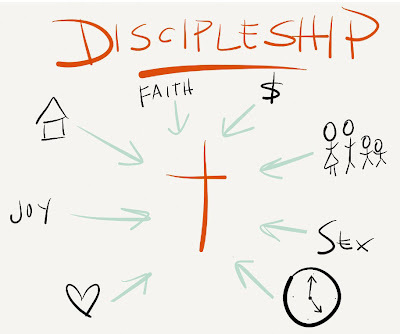 As a church grows closer to Christ, and introduces others to Christ, it creates more energy for the body. EXCITEMENT – If you can’t get excited about the Gospel, you’re not looking at Christ close enough. Anyone who can raise from the dead, forgive sins, and reconcile us to God…that’s exciting! When the people who regularly attend the church aren’t excited anymore, visitors aren’t likely to be either. When a body becomes comfortable, it often becomes complacent, and it loses the excitement it once had. It is then no longer attractive to outsiders. ENGAGEMENT – The body needs all its members. When a few people do all the work burnout is soon to follow. The church shouldn’t depend on paid staff to do all the work, nor should ministry be limited to those with a volunteer title of some sort. If assignments have to be made before people are freed to do the work of the church, over time, the harvest is plenty, but the workers are few. EFFICIENCY – When programs are so structured that even God couldn’t introduce change, decline is imminent. Growing churches are always thinking how they can improve. The cliche is true, the message never changes, but the hearers do. Finding new ways to reach a changing culture with a Gospel that never changes is part of a growing church’s responsibility. Obviously there are many other reasons; these are just a few I’ve observed. Whenever I work with a church in decline, I will first look for one of these areas as a solution. +What have you seen keep a church from growing? While I don't own any of his music, it seem every time I hear Jack White play I come away impressed. Below is a link to the PBS Austin City Limits show he did a while back. I like that the music is pretty straight forward yet creative. And it rocks. Seems like the guy is pretty gifted at what he does, and every time I seem him play it is compelling. If you're not familiar with his music, I'd suggest starting at the 20 minute mark and watch for about 10 minutes. Good stuff!